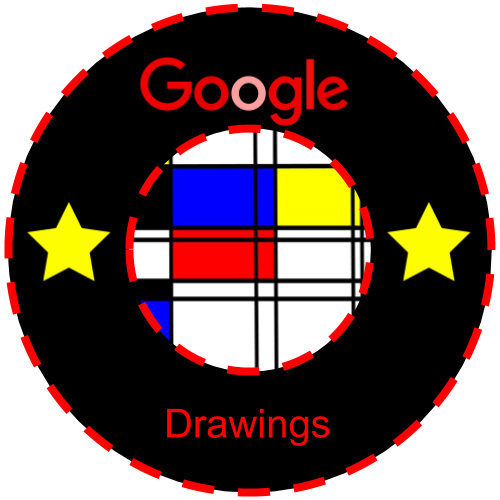 A Mondrian inspired digital badge created in Google Drawings. Shown on the Padlet below are examples of Pop Art created with Google Drawings. The steps for creating this art project appear after the examples. Shown on the Padlet below are examples of distorted art created using Google Drawings. The steps for creating this art project appear after the examples. 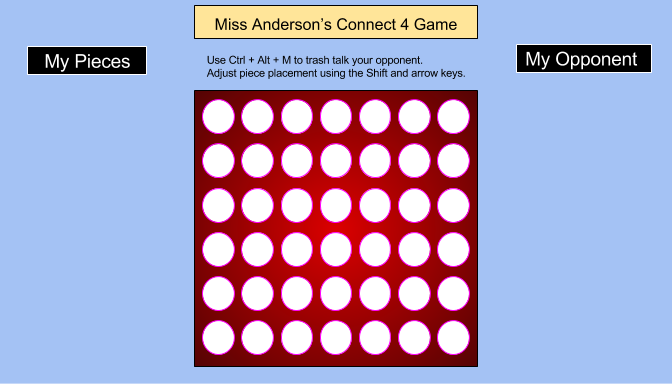 This game is initially designed in Google Drawings, downloaded as a png file, and then inserted as a background in Google Slides. The game pieces are then created in Slides. The image below shows what is created in Drawings. 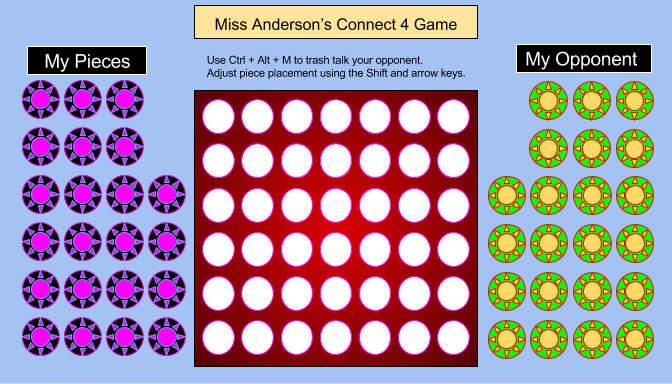 The image below that shows the addition of game pieces designed in Slides. 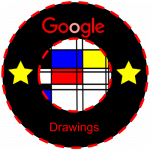 Shown on the Padlet below is an example of Mondrian style art. Once the project is completed in Google Drawings, it is downloaded to the student’s computer and then uploaded to Padlet.